Below is a Call for Peace in the Coalfields issued by the West Virginia Council of Churches. The Government Concerns and Peace and Justice Programs of the West Virginia Council of Churches felt a need to respond to tensions around the upcoming ruling of the Fourth Circuit Court. 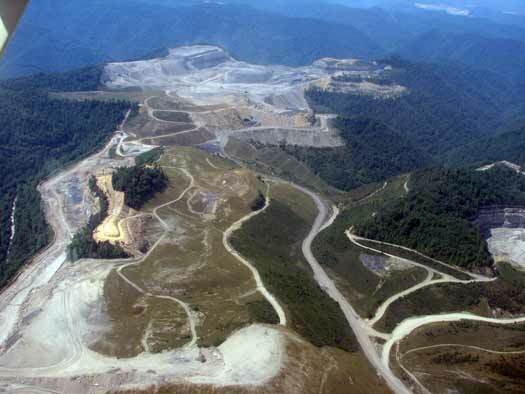 The appeal involves Judge Robert Chambers’ decision to halt a valley fill at Jupiter Holdings Callisto Mine in Boone County. Arguments will be heard on September 23 and a ruling is expected this fall, which could broadly affect the coal industry’s capacity to engage in mountain top removal mining. It is clear that whichever way the Court decides, many West Virginia residents will consider themselves to be adversely affected. Many in the coalfield communities fear their homes and heritage will be lost, and their health threatened by valley fills. Miners are worried about losing surface mining jobs and their capacity to support their families. As people of faith, the WVCC feels it is of great importance to support all our fellow citizens involved by calling for calm, non-violence, and reasoned dialogue surrounding this issue and the upcoming court decision. The Council invites people of conscience to a period of fasting and prayer for peace in our communities. They are designating the month of September as a “Fast for Peace in the Coalfields,” and invite all concerned persons to select one or more days to join in this effort. Individuals or groups desiring to join the fast and prayer are asked to contact Carol Warren, Chair of the Council of Churches’ Government Concerns Program Unit, at peacelovemom@gmail.com to sign on. People will be participating each day throughout the month of September. Check out this Associated Press article on seeking peace and prayer in the coalfields. Bill Raney, head of the WV Coal Association feels that “mixing natural resource extraction and religion is inappropriate and only serves to expand what already is a divisive issue.” He also believes that they are practicing stewardship. Does this resemble stewardship to you? Do you feel that the destruction of God’s creation has nothing to do with your faith?